For the sixth in our series of catching up with FZ clients, we sat down with Martyn King from Fuel to find out what it was like starting up in Formation Zone and what they have been up to since moving on. 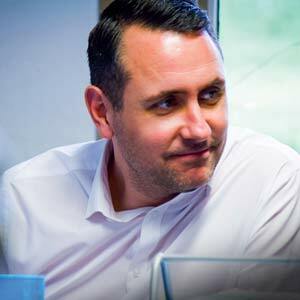 For the sixth in our series of catching up with Formation Zone clients, we sat down with Martyn King from FZ alumni Fuel to find out a bit about what it was like starting up in Formation Zone and what they have been up to since moving on. Fuel is a strategic brand and communications company where they treat marketing communication not as an art-form but as an investment. Starting with the consumer and then connecting them with brands, Fuel focuses on delivering increased demand for their customers products and services. What difference did being in Formation Zone make to your business? What progress did you make during your time in Formation Zone? How has your business progressed since leaving Formation Zone?